Very much the old school boozer - yes very worn and tired (as befits a lot of the clientele) but a proper pub in the sense of the word. Seems to be a Harvey's tied house and no guest brews were on offer. 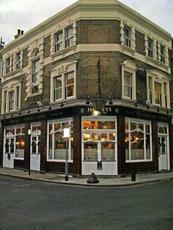 Pains me to say it but this pub feels old and tired. The beer is always great but on too many occasions I've come across 'characters' I'd much rather avoid. 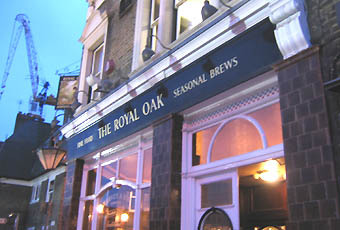 The charm has gone replaced by an aggressive edge that matches the Royal Oak's dilapidated decor. Harveys, look to your laurels, deal with it. 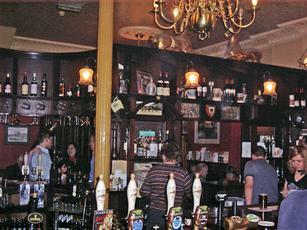 Lovely unspoiled Victorian pub that you need to go out of way to find. Decent beers from Harvey's but go for the experience. 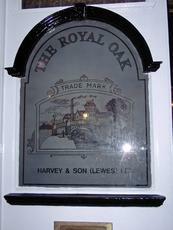 Visited last month.How nice to walk into a pub order a pint of mild and be asked if you want light or dark.Apart from a few Tim Taylor's and Hydes houses this doesnot happen nowadays.I stuck to the superb light mild as it is a seasonal.On the food front ham,eggs and chips filled the plate.Good home cured thick cut ham not processed slices.Still has 2 bar and offsales layout plus a shelf of books for sale,proceeds for the british Legion.A real gem. Once upon a time, say maybe 10 years ago or so, I'd have said this was my favourite pub in London with the possible exception of the Harp. But I agree with the recent reviews; whilst the beer quality is still very good, it's perhaps not quite what it was. But the main issue is the service; I agree it is average, verging on below average now. 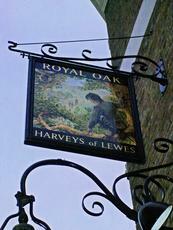 Has rested on it's laurels for too long now; still a good pub, but in my view the Lord Clyde and possibly also the Gladstone have overtaken it now in this area.